If you're like me, every so often you look at yourself in the mirror, and wonder where these new wrinkles came from. Sometimes it seems as if they just show up overnight. After doing a bit of research, I can assure you, they have been a long time in the making. 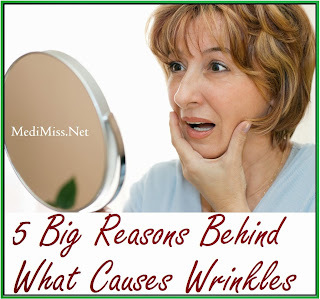 Let me share with you a little bit of what I have learned about what causes wrinkles. Exposure to the sun can account for a good number of the wrinkles that appear not only on the face, but on the rest of the body, as well. Besides the sun drying out your skin, the UV rays can also damage skin cells, cause collagen to break down, and lead to the outer layer of the skin becoming thinner. As the collagen is broken down, the body attempts to repair the damage, but what you end up with is called "solar scars" in the collagen fibers. 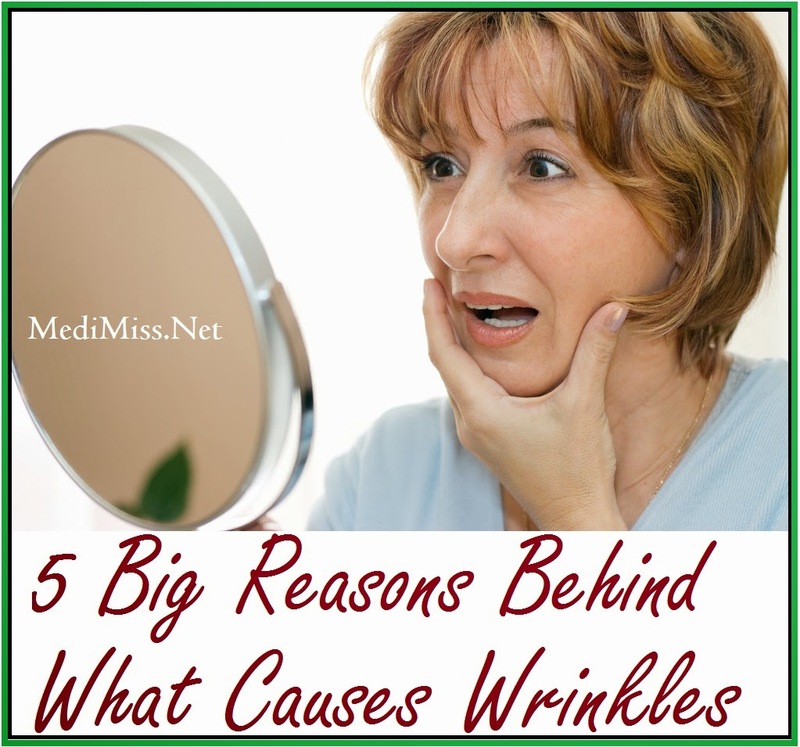 This is what causes wrinkles to develop. We have all heard that smoking is bad for you, but did you know it could also be a major cause of wrinkles? Every time you light one up, several things begin to occur that contribute to wrinkles. And I am not just talking about facial wrinkles either, but also wrinkles on the arms and torso, due to cigarette smoking. As if protecting your lungs wasn't a good enough reason to quit smoking, here are some more. First, smoking results in a decrease in blood flow though the capillaries, which deprives the skin of oxygen and vital nutrients. This, in turn, causes a loss of moisture and elasticity in the skin, leading to wrinkles. Second, the smoke itself tends to irritate the eyes, which makes the smoker squint. This action can lead to increased wrinkles around the eyes. Third, the process of taking a drag off the cigarette causes the smokers cheeks, over time, to become sunken in and wrinkles to develop at the corners of the mouth. As we age, our skin naturally loses elasticity, and firmness. This is where gravity plays a roll in helping to create more wrinkles. With the loss of the ability for our skin to "bounce back" into shape, gravity starts pulling on the loose skin. As the skin is pulled out of shape, it forms fine lines, which eventually turn into wrinkles. Everybody has certain facial expressions they use that make them who they are, one example being actor Jim Carrey. We've probably all seen his crazy facial antics, but these facial expressions can sometimes come at a cost, when it comes to wrinkles. When certain muscles of the face are used frequently in the same manner, eventually, it will cause wrinkles like crows feet, frown lines and brow wrinkles. Unfortunately, even the best anti wrinkle creams won't be able to do much to help wrinkles caused by muscle use. Botox injections are one solution, as they paralyze the muscles underneath fine lines, and slow down the progression of wrinkles due to muscle use. But, on the downside, Botox is a toxin that comes from a bacterium called Clostridium botulinum, which causes muscle paralysis, so this should not be used by anyone with a previous neurological condition, that is pregnant, or that is allergic to albumin. There have also been reports of the paralysis spreading from the injection site to other areas of the body. Though the procedure is quick and easy, serious thought should be given, before deciding on this method. Free radicals are very unstable molecules, with unpaired electrons. They quickly search out other molecules from which they can "steal" an electron in order to become stable. The act of taking that electron then creates a whole chain reaction of new free radicals, which in the body can wreak havoc on healthy cells, including skin cells. If the skin cells are not healthy, they cannot produce enough antioxidants to fight the free radicals, and also maintain levels of other nutrients to keep skin firm and wrinkle free. Antioxidants like vitamin A, C, E are very helpful in combating free radicals, and the best place to find them is in fresh foods, like fruits and vegetables. While supplements can provide these nutrients, they are better found in the foods you eat, as your body will more easily absorb them.